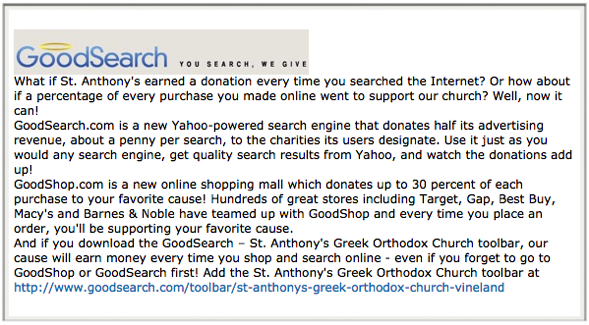 What if St. Anthony's earned a donation every time you searched the Internet? Or how about if a percentage of every purchase you made online went to support our church? Well, now it can! GoodShop.com is a new online shopping mall which donates up to 30 percent of each purchase to your favorite cause! Hundreds of great stores including Target, Gap, Best Buy, Macy's and Barnes & Noble have teamed up with GoodShop and every time you place an order, you'll be supporting your favorite cause. There is less than 2 months left to apply for Heritage Greece 2016! Heritage Greece is a once in a life time educational and cultural experience developed by the National Hellenic Society. Every year Greek-American college students embark on a two week trip to Greece, hosted by the American College of Greece (ACG), where they explore their Greek heritage, culture and identity with a peer group of students from the US and Greece. 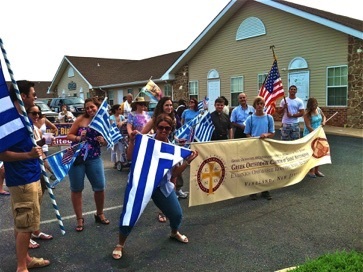 Heritage Greece was developed by the National Hellenic Society (NHS) as part of its mission to celebrate and preserve Greek heritage in the United States. 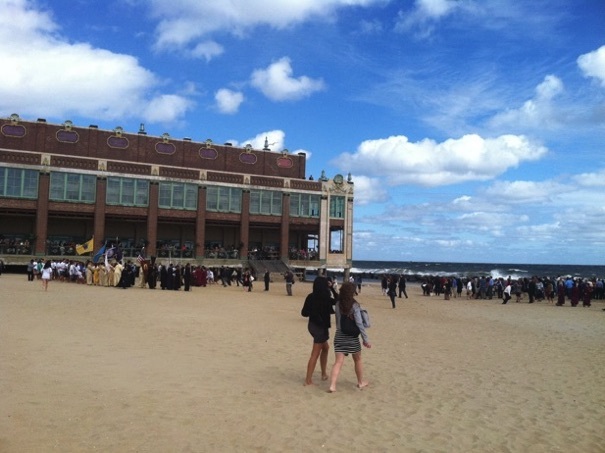 Don’t miss your chance to be one of the many students who have been able to connect with their heritage and make many great friends along the way. Deadline for applications is March 25, 2016. 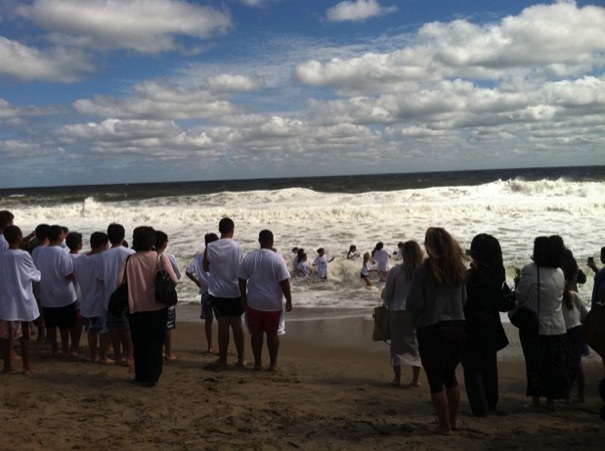 There are also opportunities for adults as well to serve in the various staff positions. 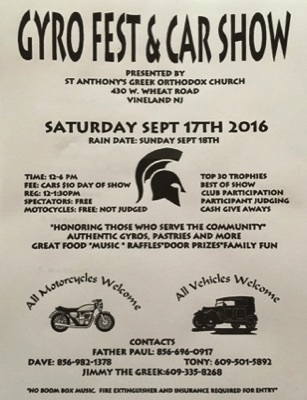 Please contact the Office of Ionian Village at (212) 570-3536. The Christmas Kalanda was a great success! Kalanda gives our children the chance to participate, learn and continue this beautiful custom. 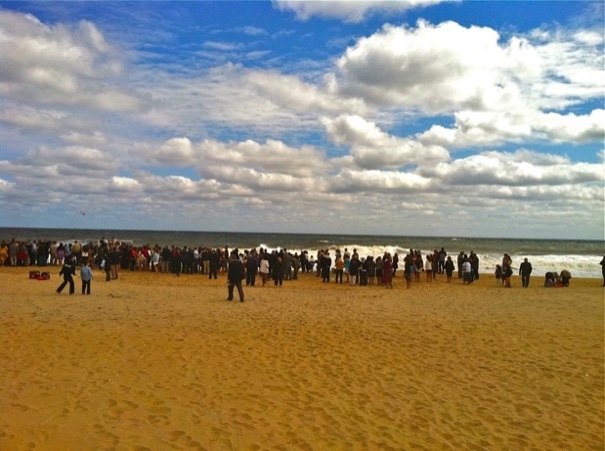 We thank everyone for inviting us into your homes and for your generosity. We also thank all the participants: COORDINATOR: Pan Kaskabas. 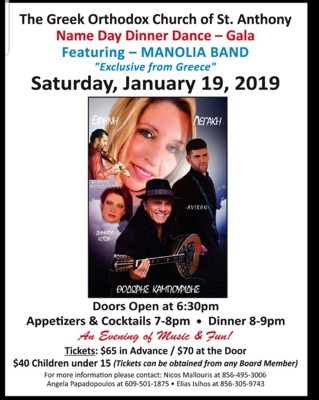 Albrecht - Aggeliki & Evgenia Fotakis - Crystal Sotiropoulos - Mercedes Crum - Stephanie Ballassi - Eleni Seitis - Nick & Angela Kaskabas - Carol Duble - Angela Doulis - Saki Mertis - Isabel & Niki Kaskabas - Katina Kaskabas – Kyratso, Dimitris & Maria Papadaniil - Stratis & Tina Christodoulou - George Armelinos - Niko Kanos - and Fr. Sokratis. Dinos), Michael's(Mike and Popi Isihos), Harry (Harry the Greek) & Liberty Zografos, and Katina and Noel Doucett, for providing dinner for the carolers at the end of each day. Additionally we thank Dr. Tom & Helen Tassakis, Dr George & Denise Dendrinos, Dr Paul & Kathy Mastoridis and Ted & Helen Gassis for the food they offered to the Carolers during their breaks. 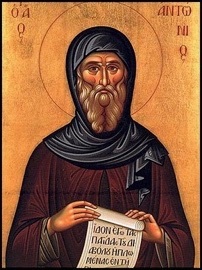 Despina Kanos and Electra Sofkos for repairing the priest’s and the acolytes’ vestments, Evangelos Alexoudis for making a red set of Prothesis covers, and Elias Topalis and Kostas Kanakis for various valuable constructions and repairs in the church. 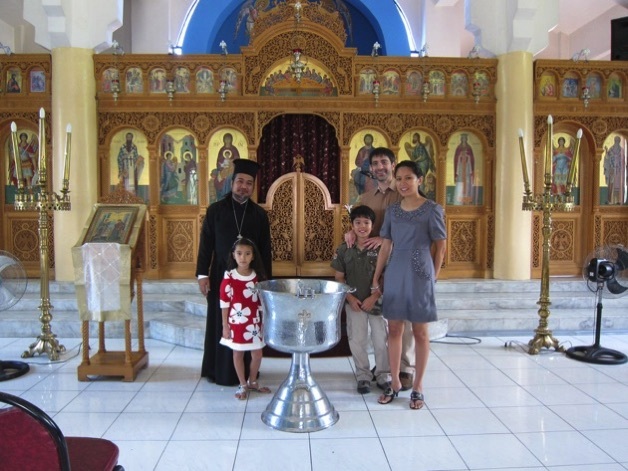 St. Anthony’s Greek Orthodox Church, Vineland, NJ Donates Baptismal Font to Manila, Philippines. 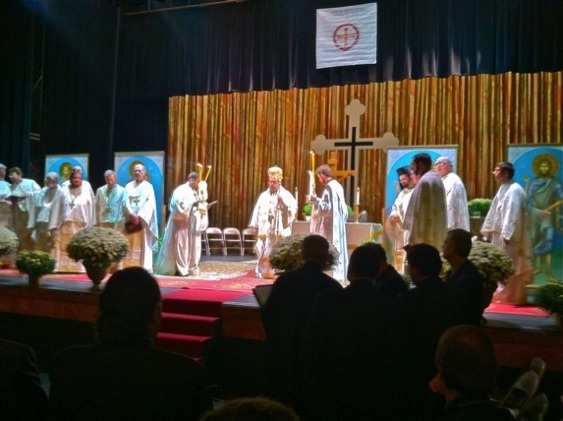 The Exarchate of the Philippines is a jurisdiction of the Ecumenical Patriarchate of Constantinople governed by the Orthodox Metropolitanate of Hong Kong and Southeast Asia (OMHKSEA). As of 1 September 2009, there are some 560 members of this jurisdiction in the country, around 40 of those being expatriates. There are three parishes and three chapels in the Philippines. 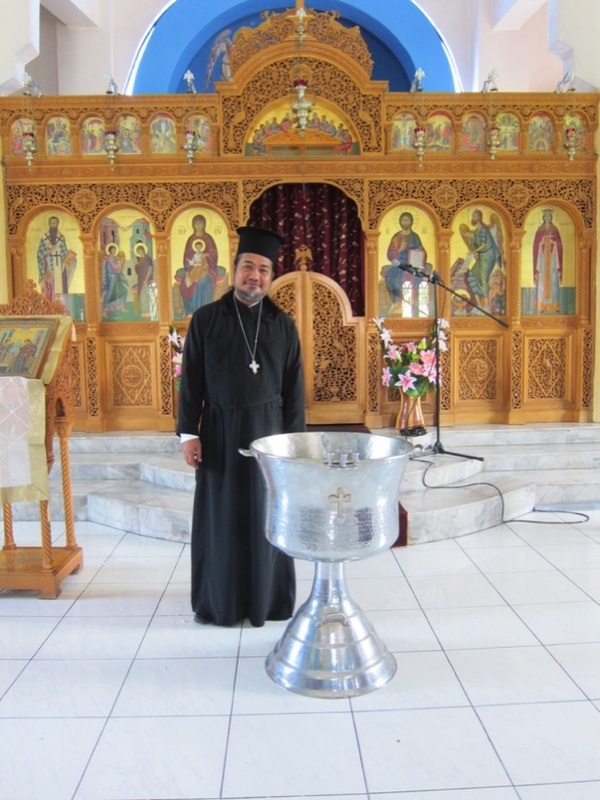 Below are two pictures taken at the Annunciation Orthodox Cathedral displaying the newly donated baptismal font. The Annunciation church was consecrated by Ecumenical Patriarch Bartholomew I on March 5, 2000, during his visit to the Philippines. Two other churches, in Cataingan and Los Baños, have since been established, along with a few other chapels. 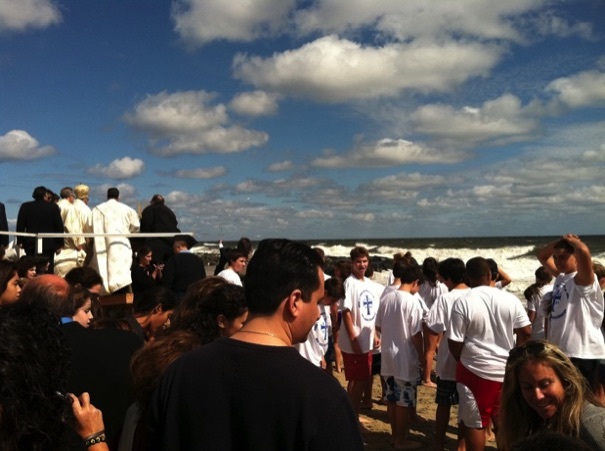 The Tassakis, Doulis, Obelenus and Mastoridis families were representing St. Anthony Parish. WE START RECYCLING AT THE CHURCH! In line with the environmental friendliness of the Orthodox Church and especially the commitment of the Ecumenical Patriarchate in preaching that the protection of the environment is a religious responsibility, we are starting the first program of recycling at our church. A red square bucket has been added next to the black trash bin in the basement to collect recyclables (paper, soft drink cans, plastic water bottles, etc.). Because the City of Vineland will not pick recyclables at the location of the church Fr. Sokratis will be taking them and putting them out in his own bucket for pickup at his house. The next goal is to extend this program to include the Community Center. 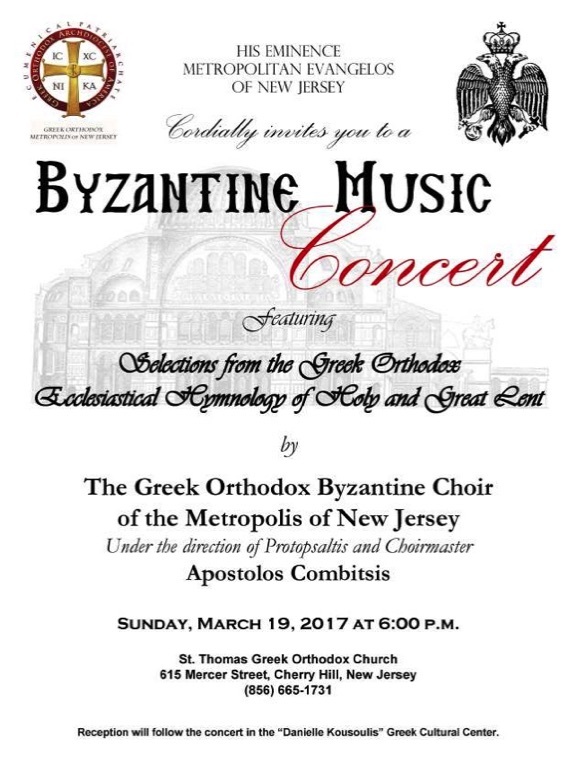 We thank you all for your collaboration to make this program successful and thus fulfill one of our missions as Orthodox Christians. Palm Sunday Lenten Fish Luncheon: The Parish Council invites you to join us on Sunday, April 21, 2019 after church at the Community Center for a Palm Sunday Luncheon. Platters consist of Fried Fish, Skordalia and salad for $11. Mother's Day Service: Sunday May 12th:Flowers will be given to all the ladies in attendance. 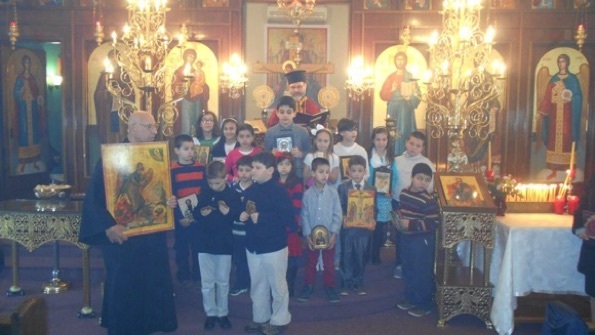 Decorations of the Epitaphios: Friday April 26th 9am.